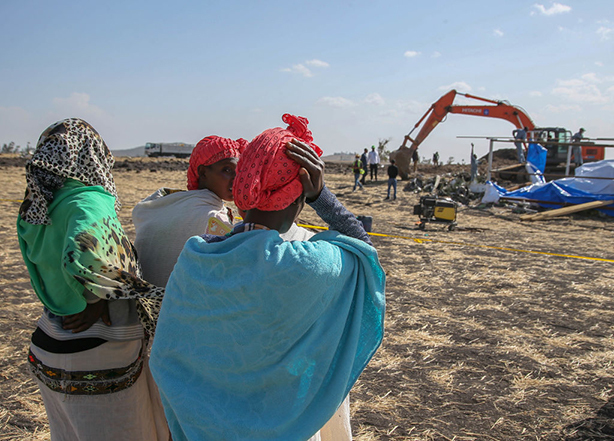 Boeing's decision to ground its entire global fleet of 737 Max aircraft following new evidence from the fatal Ethiopian Airlines crash site underlines how the manufacturer has "lost control" of its crisis comms, experts in travel and crisis comms have said. Yesterday, Boeing revealed it would ground all 371 of the 737 Max model, several days after 157 passengers and crew died after an Ethiopian Airlines plane crashed shortly after take off. It appears to be a similar accident, in terms of aircraft trajectory and circumstances at least, to a fatal Lion Air crash in Indonesia in October, leading authorities in the UK, China, India and Australia and elsewhere to suspend all Boeing 737 Max aircraft from flying in these countries’ airspace. The US aviation authority, the Federal Aviation Administration, had initially said there was "no systemic performance issues" and that there was no basis for grounding the aircraft. Boeing said it continued to "have full confidence in the safety of the 737 Max", but decided to ground the all flights yesterday "out of an abundance of caution and in order to reassure the flying public of the aircraft's safety". Marc Cornelius, founder and managing partner of aviation PR specialist agency 8020 Communications, said Boeing is in a "very difficult" position because usually a manufacturer is restricted in what it can say publicly until an air crash investigation is concluded by civil aviation authorities. "Until the investigators have established a cause, other parties are required to withhold comment," Cornelius said. "Under this rule, Boeing reacted swiftly in the limited way permitted, communicating regularly and expressing human concern for all those affected." Cornelius added, however, that Boeing’s global head of comms Charlie Miller will not be resting easy managing this crisis. "This has been an unusual case, with many civil aviation authorities grounding the type before a cause had been established. Boeing has come in for criticism for not grounding all 737 Max aircraft sooner, but while a cause was unknown and many of these aircraft have flown safely, that would have been a difficult decision to justify, given the many knock-on effects for airlines and passengers." Cornelius said that Boeing could now face compensation claims from airlines, but it’s a cost of business that it can weather. "The far greater concern for Boeing and its communicators over the months ahead will be preserving the company’s reputation for safety and dependable engineering, as that is what holds Boeing’s entire business aloft," Cornelius added. Other travel and crisis communications experts told PRWeek that Boeing now faces a "mounting crisis of confidence" of "global proportions". The major problem with Boeing’s communications, experts point out, is that the manufacturer – rightly or wrongly – allowed airlines and civil aviation authorities to take a lead on responding to the multi-faceted crisis. "The proactive and decisive stance from Tui Airways and Norwegian, and now the CAA, is reflecting negatively on Boeing, who seem content with sitting back and letting everyone else make the tough decisions," said James Brooke, managing director of travel PR expert Rooster. Brooke yesterday morning UK time predicted Boeing would have little option but to ground its fleet of 737 Max 8. "The narrative is running away from Boeing and it’s only going to get worse unless a spokesperson can stand up and steer them through the turbulence," he added, highlighting how Boeing’s response had been brief corporate statements on its website when more was required. Exacerbating Boeing’s problem is that several airlines took the decision to ground the aircraft well before Boeing. The PC Agency founder and CEO Paul Charles believes Boeing should have grounded the aircraft "two or three days ago" as a precautionary measure. "Airlines will only ground their planes as a last resort because they don’t make any money when the planes aren’t flying. 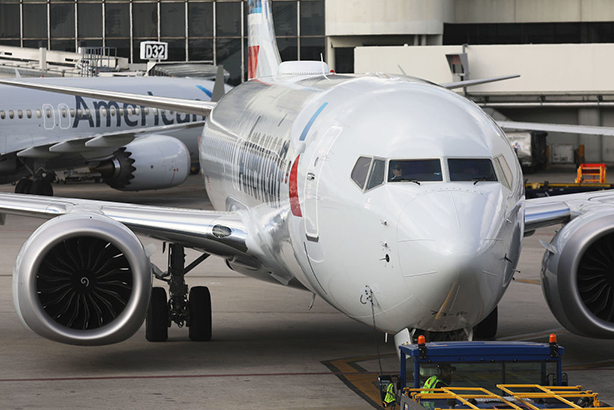 Fleet groundings almost always come from a manufacturer," he said, pointing out that airlines will lose millions of pounds a day due to the grounding and lost flight time. "So Boeing was in the highly awkward position where its own customers were dictating the next steps for its own product. Boeing’s reputation for safety has been called into question because of its slow response and lack of proactive action." Lotus managing director Jules Ugo agreed that Boeing’s "slow reaction" was concerning, particularly after they took several days to ground flights when aviation authorities of several countries had moved more quickly. "Whilst it is unclear what the evidence is and what relevance it has at this stage, it does appear that it shows clear links between the recent Ethiopian Airlines crash and that of Lion Air," she said. "This will make the Boeing customers in possession of the jets extremely nervous and customer confidence in the model will be absolutely rocked." Citypress director and crisis comms specialist Reena Mistry explains that Boeing’s reputation has been impacted by how airlines, aviation authorities and other parties have responded. "If you are slow to react you are almost having a negative impact on your reputation by not putting passengers' concerns first. This is a wake-up call to the aviation industry," she said. "What everybody in the industry should be doing is showing that they are working together," Mistry added. Nobody knows what really caused this, whether it’s an anomaly or something specific going on, but everybody should be showing they are putting their customers and consumers first. The mixed messages from different authorities is causing uncertainty." MHP Communications senior comms crisis expert Michaela Gray said the manufacturer’s slow response meant it had "lost all control of the situation". "Boeing’s failure was to let others make decisions for it," she said. "Had Boeing been the first rather than the last to take the precautionary measure of pulling its fleet from the skies, the brand would have reaffirmed its reputation for safety. Instead, it now faces a reputational challenge of global proportions."